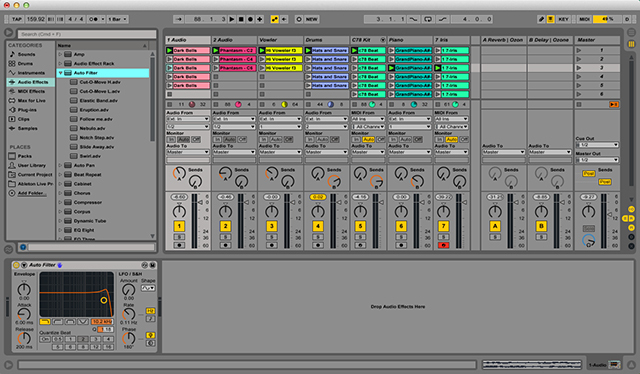 In this article, Dubspot Ableton Live instructor Dan Freeman gives you 5 tips on optimizing Ableton performance on your computer during a live set. Interested in taking Music Production w/ Ableton Live classes Dubspot? We have classes starting on 8/4 in NYC and 9/22 in LA. This course is also available online. Register today! 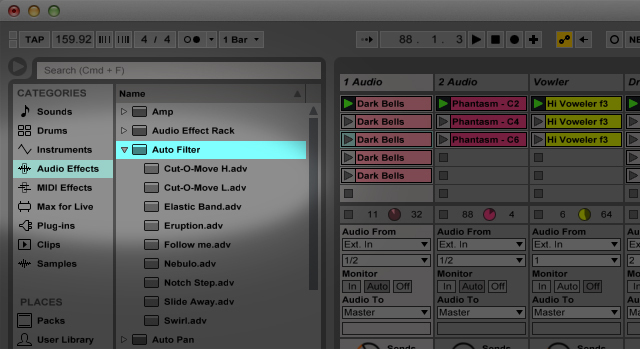 Go through your plug-ins in your live session and get rid of anything that you’re not using. Even in the plug-ins you use, try to minimize them by putting them in return tracks and using sends rather than slapping them individually on a bunch of tracks. Reverbs are especially CPU intensive. Also, in the ones that you are using, turn off extra oscillators, LFO’s, EQ bands etc. If you are using Ableton’s Simpler or Sampler, especially within Drum Racks, set the number of voices to ’1′ and you’ll save a little CPU. I personally will never use a live set where the CPU spikes over 50%. If I find it getting over this point, besides cleaning up the audio and plug-ins, I go to the ‘Audio’ tab in the Preferences and do a little fiddling around there. Firstly, I set the buffer as high as I possibly can. If you are simply playing back audio, you can get away with a higher buffer size, say 1024 Samples and this will keep your CPU a bit lower. If you’re processing audio during a live show (as I do with my group Comandante Zero – CØ) I have to keep the buffer size at 256 to avoid extreme latency. This makes tips 1 – 3 even more important. You can also save CPU by going into the Input and Output configurations and shutting down any inputs or outputs that are not being used. Unless you’ll be doing stuff like checking Facebook, writing e-mails, listening to tracks on iTunes or watching movies during your live show, you should go ahead and close all applications that aren’t needed for the performance. Also, close all windows that aren’t necessary. For my live shows, I even disable my Mac’s Wi-Fi. If you use a computer for live performance that happens to be the computer you use for your daily life, you should be sure to make sure that it has enough memory on it and regularly repair your permissions. Finally, it’s always a good idea before a show to do a run through with the exact set that you’ll be using during the show to make sure that everything’s operating smoothly You’ll want to double-check any cables and hardware that you’ll be using. Take the time to treat Ableton and your laptop well, and they should return the love during your live sets.